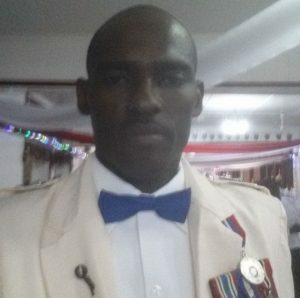 The Commander of the Guyana Police Force’s Special Weapons And Tactics (SWAT) Unit, Deputy Superintendent of Police, Lonsdale Withrite has been transferred after his service firearm and vehicle were allegedly stolen from him, but Police Commissioner, David Ramnarine is mum about who has replaced him. Ramnarine said Withrite has been transferred to the East Coast Demerara (‘C’) Division, but he declined to say who has taken over Command of the SWAT Unit. He would only say that the force has a “sufficiency of manpower” for someone else to take command of the Unit. Demerara Waves Online News was told that Deputy Superintendent Dookie will most likely take over command of the SWAT Unit. Meanwhile, police sources said although the Guyana Police Force has announced that the Head of the Narcotics Unit, Superintendent of Police Wayne De Hearte has been transferred to the Berbice Division, he is still performing the duties of that unit’s head. Sources said he is yet to hand over properly. The force said he was moved to Berbice after the disappearance of several kilogrammes of cocaine in a pending court case and ongoing probe involving an suspected accomplice. 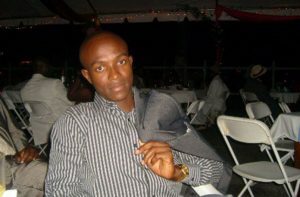 In the case of Withrite, police said they were probing a report that he was robbed at gunpoint of a service pistol, and a magazine containing sixteen 16 rounds, about 9 PM on Monday October 2, 2017 while on the Industry Seawall, East Coast Demerara in the company of a female. The Officer alleged that he was pounced by three suspects one of whom discharge two rounds and relieved him of his motorcar in which the firearm and ammunition. “Swift responses from several units of the Guyana Police Force led to the recovery of his motorcar on the Ogle Airstrip Road, East Coast Demerara a few hours after,” police said.